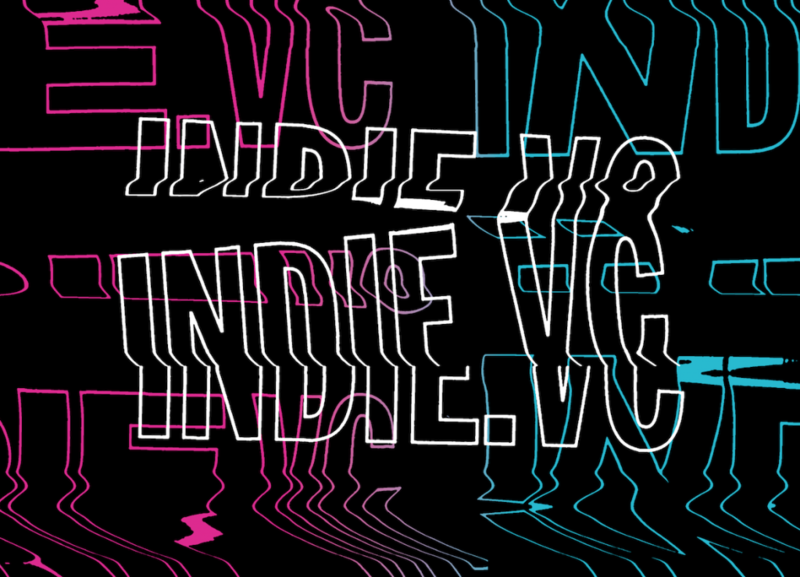 You are here: Home / Diversity / Indie.vc’s v3: Did someone mention diversity? When Indie.vc started three years ago, it saw two or three applications a week, mostly from venture capital rejects. Now it gets as many as 10 applications a week, mostly from companies that could raise venture capital but don’t want to, said Bryce Roberts, the firm’s founder. As Kara Swisher’s guest Jason Fried said on the Recode podcast a couple of weeks ago, “venture capital money kills more businesses than it helps.” Then again, it’s got upsides as well: the right VCs can open up a lot of possibilities for a startup, both by providing the money to spend ahead of revenue and just as importantly bringing entrees to potential customers and key hires, solid advice, credibility, and access to a valuable network. Are there ways to get the positives without the downsides? When Seattle startup mainstay (and Create 33 Director) Rebecca Lovell told me that Bryce Roberts was giving a fireside chat about Indie.vc’s upcoming v3 batch, it seemed like a good opportunity to find out more. As indeed it was! Bryce’s brief presentation was clear and to the point. As Alan Meekins, founder of RosHub, commented to me afterwards, Indie.vc‘s model leads to founders retaining higher equity, so they have an opportunity to enable more win-win outcomes for their portfolio. The presentation isn’t available online as far as I know, but most of the material is available elsewhere on the web: in textual form in Bryce’s v3 post and the v3 FAQ on the Indie.vc site, or as podcasts on Product Hunt Radio podcast with Ryan Hoover and Rad Dad with Kirill Zubovsky. There was also plenty of time for question and answers, covering a variety of topics. I even got a chance* to ask one myself! 50% of the companies we’ve backed are led by female founders. Nearly 20% are led by black founders. A lot of VCs try to explain that their non-diverse portfolios aren’t due to any bias, no, of course not, they actively try to fund marginalized founders, it’s just that people don’t apply or there aren’t any investment opportunities that “meet their bar.” Indie.vc’s numbers – and the success of the founders and companies they invest in — make it clear that in reality, people do apply and there are plenty of good investment opportunities out there. It’s a strategy that makes a huge amount of business sense for Indie.vc and their parent company, Tim O’Reilly’s OATV (where Bryce is Managing Director along with Marc Jacobson). Arlan Hamilton of Backstage Capital talks about diversity as a competitive advantage: founders from groups who have been the targets of the VC and tech industries’ historical biases are generally underestimated. The Indie.vc founders Bryce mentioned in his talk — Angelica Nwandu of the Shade Room, Thompson Aderonkomi of Nice Healthcare, and Sarah van Dell of Plum Relish — are exactly the kinds of people (and companies!) any VC should want to invest in. Too many VCs find excuses not to — or try to do better, but don’t make any real progress. So after complimenting Bryce on Indie.vc’s numbers, I asked what they had done to achieve this diversity. 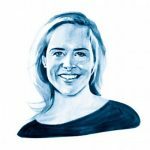 The indie.vc model seems, at first blush, designed to reward and encourage many of the qualities frequently cited as inherent characteristics of women entrepreneurs. For many, that will be a welcome departure from the norm — and potentially quite a lucrative one. From Bryce’s perspective, this post — coming at an early stage in Indie.vc — helped them realize they should pay attention to this opportunity. In some ways, he added, just being aware is really the most important thing; being mindful of what they were doing and making it a point to extend the invitation broadly. He also gave a couple of very concrete examples, talking about the way their application process cuts down insiders’ advantages, and noting the importance of putting forward diverse founders’ faces and stories (as he done in his presentation and blog post). These are all good points. And the followup to the fireside chat illustrates a great example of the value of extending the invitation: Astrid Scholz of Zebras Unite responded to Bryce’s offer of a private online session for groups of founders and investors, and now Indie.vc’s presenting another large, diverse, woman-led group right in their sweet spot. Funny how that works! It’s not like any of these things are rocket science … and that’s an important point. When you start looking at improving diversity the way you would any other important business problem, there are very often straightforward things you can do that have a real impact. When Rebecca and I co-chaired the Northwest Entrepreneur Network’s First Look Forum pitch competition a few years ago (along with Rochelle Whelan), we got huge improvements in diversity just by deciding to prioritize it*** and making some straightforward improvements to our outreach, training, and processes. But most VCs don’t. So kudos to Indie.vc for thinking about it. At the end of his answer, though, Bryce mentioned that they’re not seeing the same kind of gender diversity numbers in the early applications to the current v3 iteration. Instead, the overwhelming majority of applications are from guys. The deadline’s not until March 1, but once a pattern like that sets in it can be very hard to change. There’s an important underlying point here: even when you’ve got a diverse group, it doesn’t necessarily sustain. Pinterest is a good example: Abby Maldonado and Evan Sharpe 2016 Tech Inclusion fireside chat discussed how their relatively-diverse engineering team turned into a much-less-diverse team before they realized what was going on. One way to think of this effect: the intersecting dimensions of power and demographics in the tech and startup worlds cause a “gravitational pull” that tends to drag you in a cis able-bodied white male direction. To counter this, even after you’re off to a good start, it’s important to put processes, systems, and people in place. One simple example that could have helped Indie.vc’s v3: going beyond just extending the invitation to a more organized diversity-focused outreach strategy — involving groups like Code2040, Lesbians Who Tech, and Tech Inclusion. And this outreach will go better if Indie.vc already has a presence in those communities; so having employees attend these conferences, and sponsoring some of them, will make things even more effective. There are a lot more investors looking to fund underestimated founders than a few years ago — including new firms like Backstage Capital, Harlem Capital, and Precursor Ventures who have started from the beginning with this focus. And some traditional VCs are opening their eyes too; Jessica Guynn’s Black women entrepreneurs’ startups are changing Silicon Valley highlights founders like Julia Collins, whose robotic food prep company Zume Pizza just got a $375 million investment. Which means that at the same time as the gravitational pull is kicking in, Indie.vc’s competition is getting more intense. So without taking anything away from their progress so far, if Indie.vc wants to keep their valuable diversity going forward, they’ll have to keep upping their game. There are some great strategically-focused consultants who incorporate intersectional diversity and inclusion in their work and could be very helpful on different aspects of this problem, people like Y-Vonne Hutchinson of Ready Set, Nicole Sanchez of Vaya Consulting, and Bärí A. Williams. Hopefully, Indie.vc is already working with one or more of them and is listening to their advice. Again, none of this is rocket science. Which is good news! Since most companies today don’t bother doing any of them, it’s a chance for a competitive advantage against incumbents. And it doesn’t get any easier if you wait. The best time to start focusing more on diversity and inclusion is when you’re just getting started. The second-best time is right now. * eventually – after a guy who had already asked the very first question (and talked to Bryce for a while before the presentation) cut me off in order to ask a second question … well actually it was really a comment more than a question …. And later on, after the presentation, when I was waiting to talk to Bryce on his way out, the same guy interposed himself between me and Bryce again. Man! ** I resisted the temptation to interrupt and say “hey, I know Marci!” It’s a great example of how small the startup world can be: I blogged about Marci’s startup POPVOX back in 2011 in Patriot Act renewal: Time to make some noise. Fortunately, there’s an app for that!